Dartmoor is one of the most exciting and dramatic landscapes in the UK. It has inspired great works such as The Hound of the Baskervilles by Sir Arthur Conan Doyle, provided the stunning scenery for the film War Horse and continues to fascinate walkers every single day. If you have never been walking here before, this summer is a great opportunity for you to discover medieval villages, hike up to tors and marvel at the dramatic vistas. And, depending on which side of the moor you plan to start from, you will only ever be a 30-minute drive from a Jurys Inn hotel! Dartmoor is a great location for family friendly walks and there are a few fun and simple routes for you to try out. Just 30 minutes away from Jurys Inn Exeter, Haytor Vale is a great starting point for an easy walk with family. 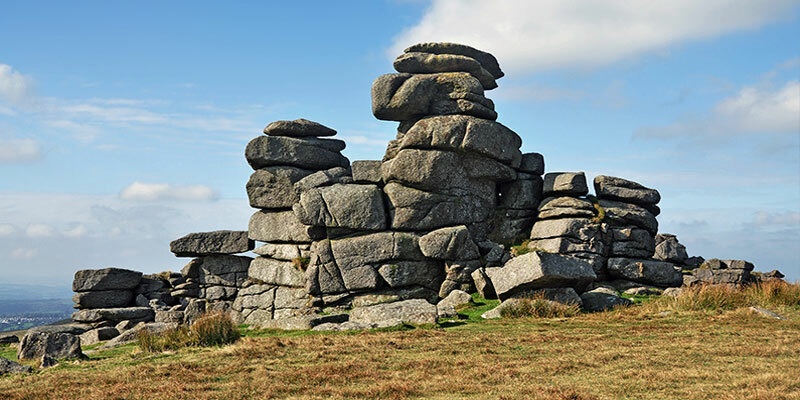 You can park your car in the Haytor National Park Visitor Centre and then either head west towards Haytor Rocks or north west to Haytor Quarry. 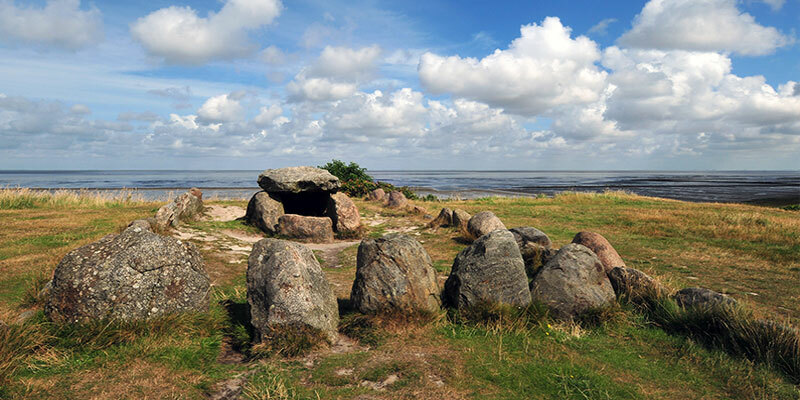 You can take in both areas over a 40-minute circular walk. If you want to extend your walk, you could also head further out to find the Hound Tor Deserted Medieval Village where you can still see the outlines of the buildings that once stood there. This route will take just under 2 hours at a reasonable pace. Beginning at Pork Hill Car Park, just 35 minutes’ drive away from Jurys Inn Plymouth, the three Tors are easy to see and navigate towards. There is usually an ice cream van here in the warmer months so you can treat yourselves to a cool snack along the way. Start by heading north towards Cox Tor and take in those fabulous views. There is a trig point at the top. Head down to the east where you will work your way through the grass to Roos Tor where there is an army flagpole. From here, you simply head south to the granite Staple Tor and then back to the car park. If you are looking for a longer route to spend the day on with lots of up and down, the Six Stone Circles walk could be for you. In the north of the moor, starting at Chagford, the walk includes the Fernworthy Stone Circle, The Grey Wethers Stone Circles, Sittaford Stone Circle, White Moor Stone Circle, Buttern Hill Stone Circle and Scorhill Stone Circle. The route is marked with a broken green line on OS maps and leads you through forest as well as across the moor, up and down hills and along parts of North Teign River. Make sure that you pack your bag for a long trip and check the weather before you set out. Dartmoor is one of the most beautiful moors in England and it is certainly dramatic. However, there are a few things you should know before you set out. After all, this is a unique landscape and it deserves some thought. Known to the locals as feather beds, some areas of the bog are covered in bright green moss which shivers in the wind. Be careful to avoid these spots as you never know when one will plunge you into a knee-deep puddle of cold water. This landscape is so dramatic because the weather can change quickly. While modern GPS is usually great, having a map and compass as a backup is definitely something to consider, especially on days where the weather is more interesting. The army frequently uses areas of Dartmoor for training including firing times. Before you set out, make sure that you know when the firing times are so that you can avoid the relevant area. You should also keep an eye out for the signs and red and white posts designating the area. Though you can walk here sometimes, if you aren’t sure - steer clear! Devon might have a reputation for sunshine but Dartmoor is very much a wet and windy landscape. The moors are changeable at best so make sure that you wear sensible layers and have waterproof shoes as a bare minimum. 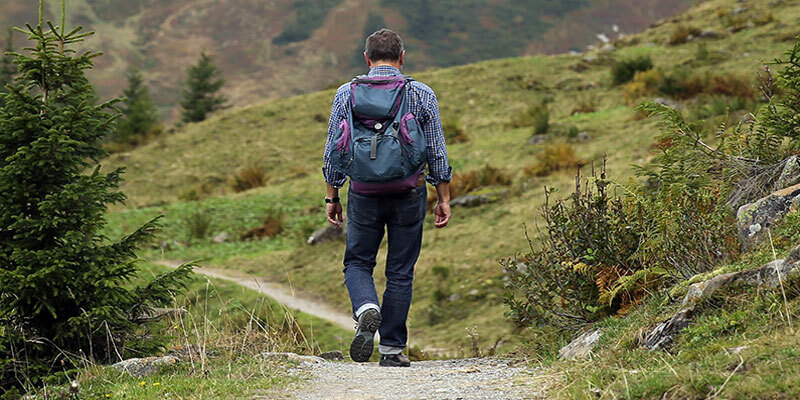 However long your walk is, you should always make sure that you have plenty of water and even a thermos in cooler weather. High energy snacks are also recommended, especially if you are planning a slightly longer walk. So now you have all the information you need, get out there and enjoy some refreshing Devon air!